The show that works like magic to spell bind the audience, make them gasp, gape, wonder and laugh. 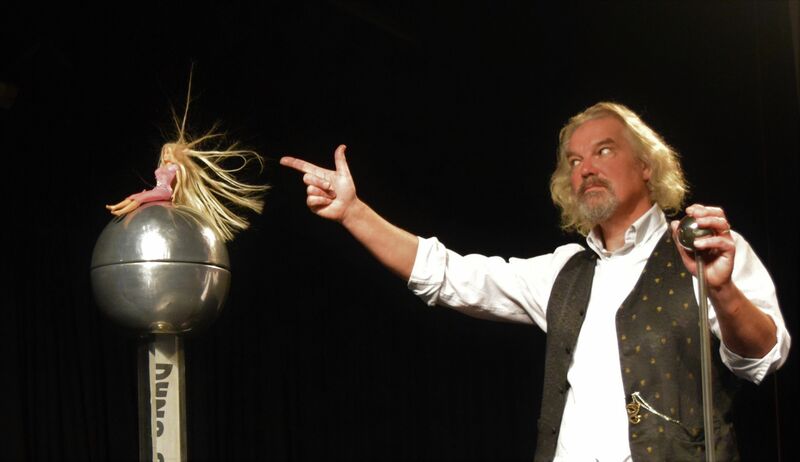 Featuring all demonstrations, strange and wonderful noises, levitating objects, flash bang and big sparks and the occasional funny smell, all done with some fantastic and rare equipment. You won’t believe your eyes. Now with added robots! Performed and presented by Ian B Dunne this extremely amusing and diverting show is the one to see. This is the show of Science Magic, it has mystery, suspense and laughs. From Infants to Infinity, suitable for all. Prepare to be amazed. £8 per ticket or £28 for a family of four. Tickets will be available on the door – CASH ONLY.